Winter is a time for cold weather fun, friends, and lots of giggles. So, what’s the perfect accessory for all this holiday fun? A warm and silly hat, of course! This easy crochet hat makes the perfect holiday gift for a new Mom or Dad and is so wonderfully fast to make. Even if you are a beginner at crochet, go for it! The only skills you need to make this are double crochet, crocheting in the round using a magic loop, and seaming. This pattern is for a newborn baby-sized, long-tailed hat. For additional sizes of this hat, please check out this post. This hat is designed in antique dark red and off-white for a vintage effect. 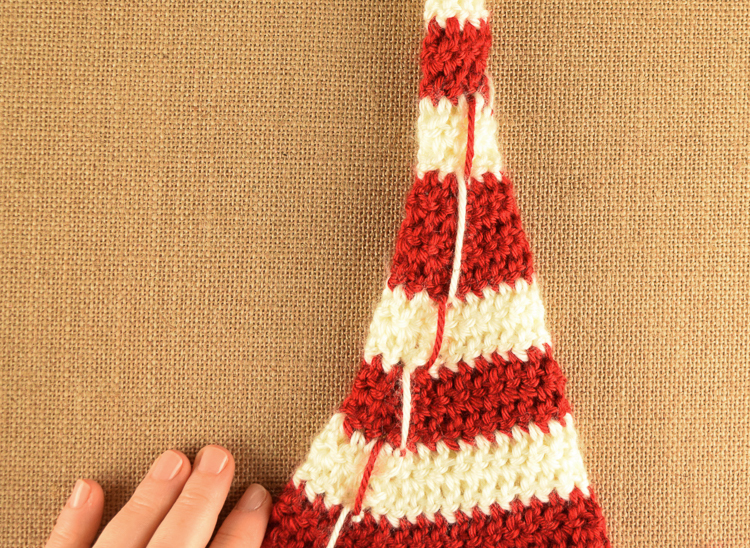 If you prefer to have a bright red and white stripe, substitute other shades from the Caron ‘Simply Soft’ line or other similarly-weighted yarn and it will turn out great! This newborn hat crochet pattern is made up of three parts: The body, the band, and the pom pom. You will stitch the pieces together at the end. 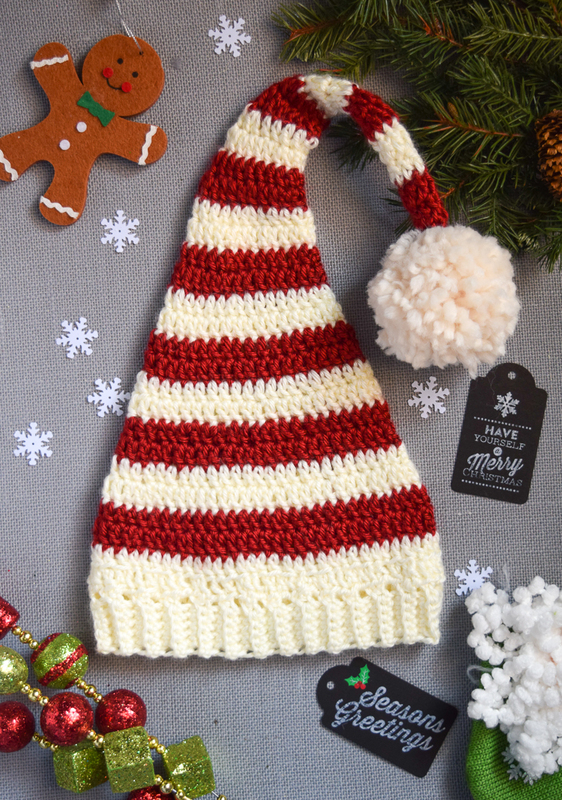 A note about crocheting stripes for this hat: The color change is completed by simply dropping the color and letting it hang until you need to pick it up again. 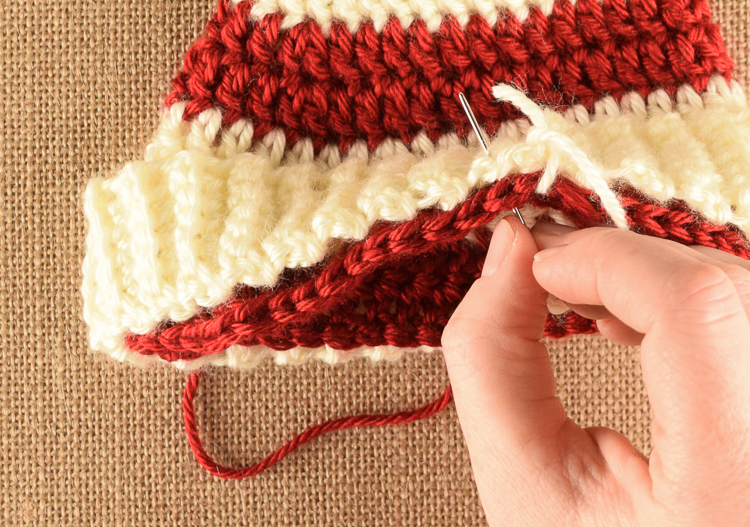 To change color, you will complete the round and slip stitch in the old color, then use the new color to chain two, and begin the next round of double crochet in the new color. The transitions will look weird on the outside as you work, but don’t worry. You will turn the whole thing inside out before assembling. Row 1: With (R), Chain 3 and join the 1st and 3rd stitch to create a magic loop. St 6 dc into the loop. Sl st and ch 2. Row 2 – 3: With (R), continue to dc 6 stitches in each row. Sl st to complete row, drop red and pick up white to chain 2. Row 4 – 5: With (W), double crochet 6 stitches around each row. Sl st to complete row, drop (W) and pick up (R) to chain 2. Row 6-11: Repeat steps for rows 2-3 and 4-5, alternating colors like this for the rest of the hat body. Rows 12-15: Increase by 1 double crochet for each row. Rows 16-27: Increase by 3 double crochet stitches for each row. You should have a total of 42 stitches in row 27. Ch 7, begin sc into the 2nd ch. sc to the end of the row and turn. Rep until you have 42 rows. Making sure you don’t twist it, fold in half and use mattress stitch or whip stitch to sew the ends of your rows together to create a band. Knot it off to finish and leave a long tail of yarn. You will use this yarn to attach the band to the body of the hat. Align the inside top of the band with the bottom of the hat body as shown. Whip stitch them together all the way around and knot off at the end. Pull the band down so the seam is not visible. Cut a strand of (T) about 7-8 inches long. 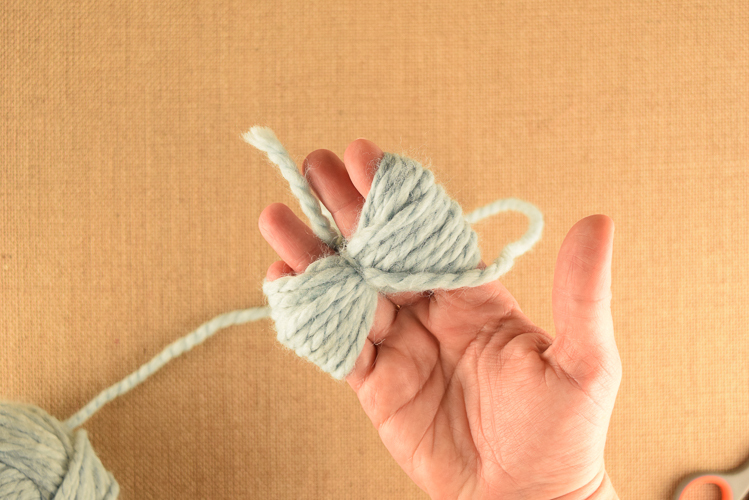 Take the ball of (T) and wrap yarn securely (but not too tightly) around your hand about 25 times. Pull the yarn through the bottom of the yarn bunch between your 3rd and 4th fingers. Pull hard and knot it twice. Tie this tightly and keep your tie strands long – you will use them for shaping your pom pom and attaching it to the hat. Find the magic loop you created at the beginning. 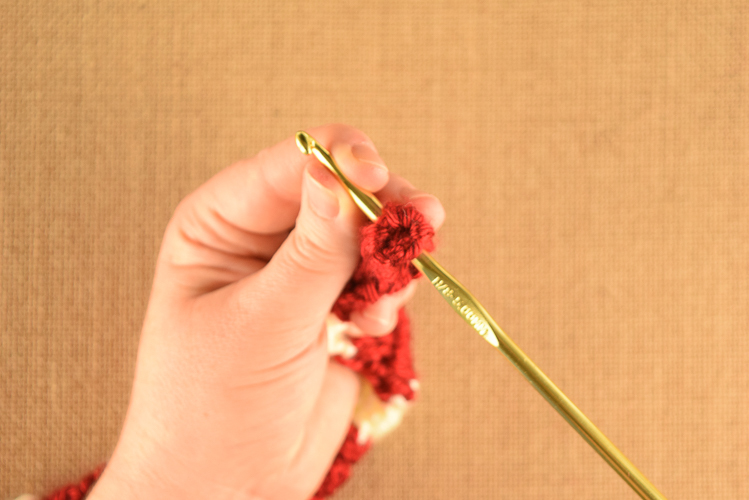 Slip your crochet hook under the magic loop, between the six stitches you created. 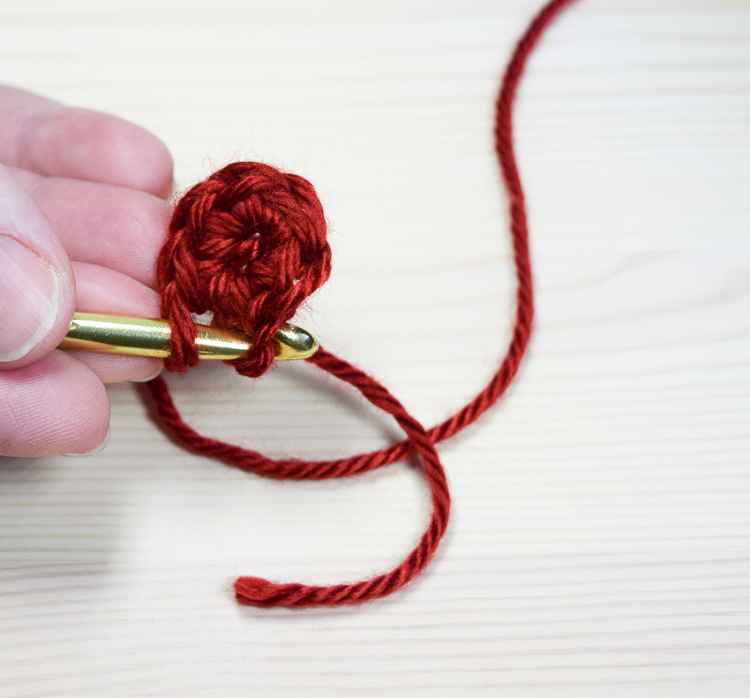 Pull one of the long strings through with your crochet hook. 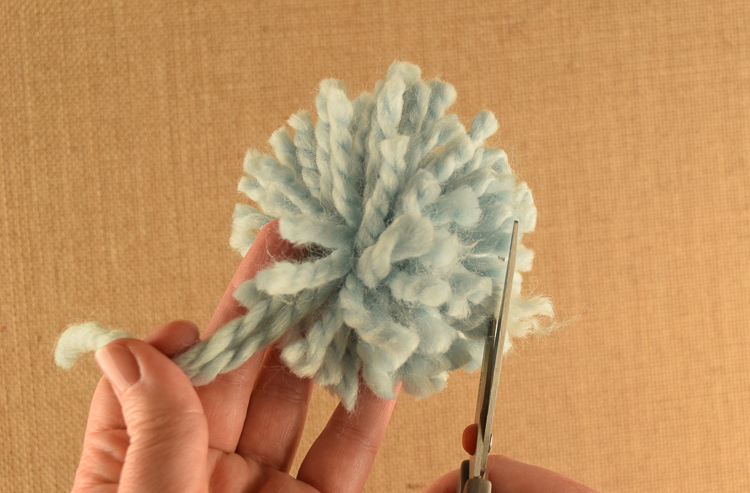 Secure with a double knot using your long yarn pieces and then trim them to the length of the other strands in your pom pom. Weave in loose ends. Block if desired. Enjoy all of the cuteness! Molly is a former nine-to-fiver turned passionate crafts teacher. She writes about (and pins!) sewing projects, craft ideas, DIY, and Photography tutorials on Craft Ideas Weekly. We will have some babies in our family in time for Christmas. Need to make a start on these. They are delightful. Thanks for sharing. The band instructions don’t make sense, I DC 42 rows, and the band was way bigger than the rim of the hat, did you mean to say SC? Hi Helen. We don’t have a download option but you can probably cut and paste the text and save it for yourself. Sorry! Precious hat! If I wanted to make this for older children or adults, how would I do that? Me too!! Did you happen to figure out where u added the double crochet to increase? I’m curious also as to where to add the dc’s. I need to make for my 7 month old daughter. How would i make it bigger? I’m confused on making the ribbed hat band. ch 7 begin sc into 2nd ch end the row and turn?? How do you end the row? So I end up with 6 sc then turn, sc 6 more then turn, and do on??? I love the look of this pattern, and would love to give it a try, but don’t really understand the increasing part – please could you explain in more detail how and where you make the increases? If I count it up I would end up with 46 stitches and not 42. I am quite new to crochet, so any help would be much appreciated. I look forward to hearing from you (or anyone else who has figured it out!). This pattern is confusing. There are at least 33 rows on the hat pictured. Following the instructions get you to a point at row 25 that there are already 40st. So that would end up 46st if I keep adding 3dc per round. I’m going to search out a different pattern because I can’t get this to work. I totally agree and was about to comment the very same thing. The instructions are not detailed enough for a relative newbie and the number of stitches do not add up correctly. I did not add the separate ribbing; I found another pattern and just added it to my last row. By the way, I added several extra rows, as the hat looked way too short. No instructions for what to do with the yarn where you change from red to white: leave it like it is, or cut and weave in? Please, for others, rewrite with more detailed instructions! Thank you for the patter; it is very cute! I count 46 stiches as well by row 27. Very confusing on where to add the DCs as well. I’m a newbie and pattern doesn’t give enough details. Making this for a baby coming next month and after using my 5mm hook and crocheting the 42 sc in BLO I think it may be a tad smaller than newborn size. Do you happen to know the required length of the band in inches? For the increase 3 DC I just added 3 extra DC to each row. One at the beginning, one almost half way through, and close to the end. My 27th row had 42. My Great Grandson was 1 in Sept weights 25 lbs will this pattern be good or need larger size? 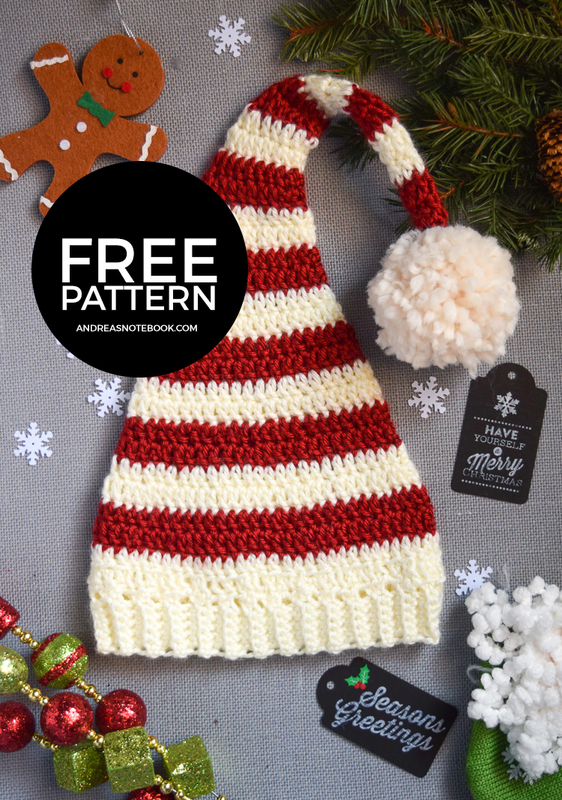 very misleading – advertise as a free pattern (which you find out is only for the infant size when you scroll through) and it says pattern for other sizes at webiste (inferring the other sizes are also free) – but when you go there, the other sizes are not free. I count more rows in the picture. Following the instructions I get more than 42 stitches. Help! I wanted to clear up any confusion on the ribbed band part. Single crochet into the back loops only. 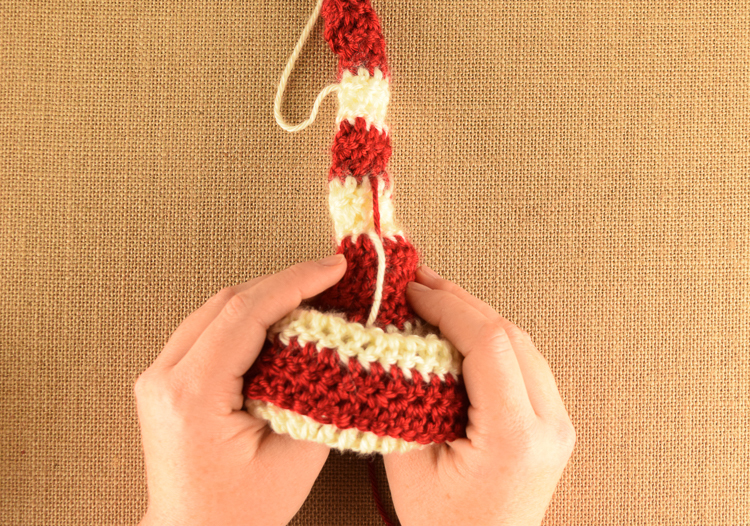 Also for those confused about adding double crochets- you can add them anywhere in the row. I usually space them evenly. You would just do two double crochets in the same stitch.